Duraturf is one of the China’s premier suppliers of synthetic lawn. Based on 15 years focus on artificial turf, we are dedicating to been the most reliable supplier in both domestic and international market. We now export more than 40 countries in all over the world. In order to meet the different needs of customers,the company cooperate with Yizheng Chemical Fiber,Britain Bona, BASF of Germany and other well-known artificial turf material to establish a long �Cterm cooperative enterprises relations. At the same time,we have been committed to new product development, has a number of research and development to been the most excellent and professional artificial grass manufacturer. Ensure product quality, the company focus more on team building, in strict accordance with international standards, product quality and specified commitment to a strong production capacity in the specified date to ensure on time or even ahead of delivery, full supervision and track contract performance and to supported by professional and efficient service system. Services, not big business, but, anytime, anywhere,bit by bit, it has been sowing and cultivating for our common success. We will view excellent service asDuraturf’s life all the time! 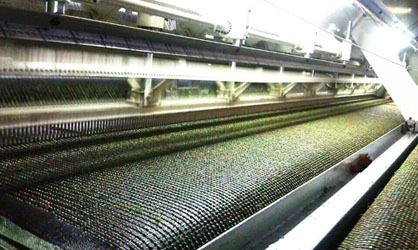 In 2002 Duraturf plant was established, as the pioneer of artificial turf industry. 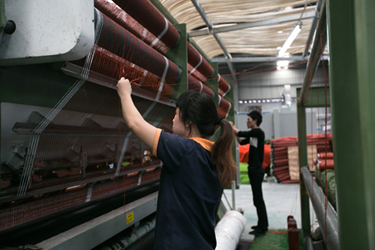 In 2007 Imported the tufting equipment, stared on a large-scale development. In 2009 New factory established on Xishan Economic Development Zone. In 2010 Our company purchased another new equipment of tufting machinefor orders. In 2013 Fournew production lines had been added to for the markets. In 2017 DURATURF BORNED IN NANJING. Looking back at the artificial turf industry, we are full of prideof ; look to the future ,we are full of confidence; through the brand promotion,Duraturf will have a better brand integrated into our business , team , products and services.